A member of the 757th Aircraft Maintenance Squadron Strike Aircraft Maintenance Unit presents the President’s Hundred award to Staff Sgt. Andrew Wilson, 757th AMXS Strike AMU F-15E Strike Eagle fighter jet crew chief, at Nellis Air Force Base, Nev., Aug. 18, 2018. Wilson said he had never shot firearms until he started precision pistol shooting in February 2016 after learning about the President’s Hundred tab. While sitting on the couch watching television or doing school work, a staff sergeant leaves an unloaded pistol sitting on his desk. He doesn’t have it there for protection, but for whenever he is in need of a mental break. There is a target taped to the wall on the far side of the room to test his trigger, pull and sight alignment; however, shooting an unloaded gun while having a little bit of free time isn’t what earns someone the President’s Hundred tab. 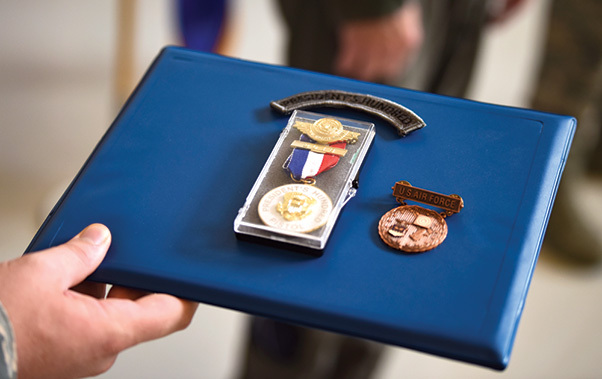 It is the skilled trigger finger of one of the six Air Force service members to ever receive this award for their hard work and dedication. Staff Sgt. 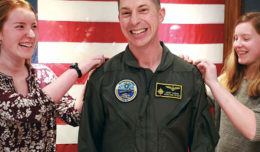 Andrew Wilson, 757th Aircraft Maintenance Squadron (AMS) Strike Aircraft Maintenance Unit (AMU) F-15E Strike Eagle fighter jet avionics technician, earned the President’s Hundred tab after shooting a perfect score at the 2018 National Trophy Pistol Matches and Small Arms Firing School at Camp Perry, Ohio. 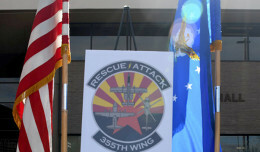 The 57th Wing honored Wilson’s accomplishment in a ceremony, at which Brig. Gen. Robert G. Novotny, 57th WG commander, said it was pretty amazing to see somebody accomplish this rare feat, especially for someone who picked up a gun for the first time in Basic Military Training. Wilson said he had never shot firearms until he started precision pistol shooting in February 2016 after learning about the President’s Hundred tab. The coaching that Wilson received in the last two years helped him achieve his goal. Ragland helped Wilson outperform hundreds of competitors with his tough but encouraging training. The two practiced multiple times a week, and put in countless hours and thousands of rounds at the range. Staff Sgt. 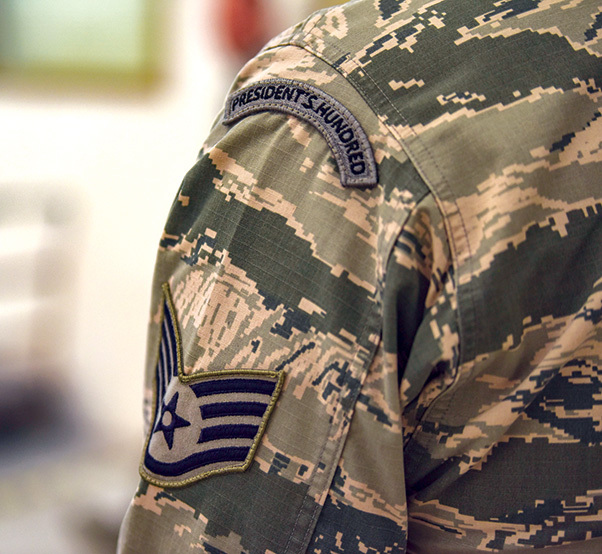 Andrew Wilson, 757th Aircraft Maintenance Squadron Strike Aircraft Maintenance Unit F-15E Strike Eagle fighter jet crew chief, displays the President’s Hundred tab on his uniform at Nellis Air Force Base, Nev., Aug. 15, 2018. Wilson earned the President’s Hundred tab after shooting a perfect score at the 2018 National Trophy Pistol Matches and Small Arms Firing School at Camp Perry, Ohio. There are only four other Airmen on active-duty that wear it. Wilson is now the fifth President’s Hundred shooter, said Ragland. “He out-shot 375 other competitors to earn it and, suffice to say, I’m very proud of him,” said Ragland. Wilson is not going to call it quits; he is going to further his shooting skills and representation as a marksman. Since the competition earlier in the summer, Wilson continues to shoot four to six times a week. He starts every practice session with dry firing for five to twenty minutes, or until he feels comfortable with his grip, stance, trigger finger placement and sight alignment.